Social networking outlets such as Facebook are used by people to express their personal opinions and views about issues they are interested in. 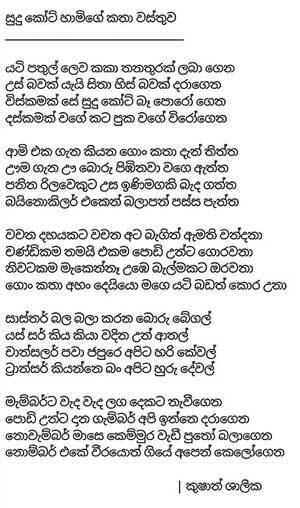 Recently, a male teacher of Kuliyapitiya Central College faced repercussions from the Education Ministry allegedly for posting critical poems, which the Ministry had apparently not approved, on his Facebook page and it resulted in his being transferred to the Narammala Mayurapada Central College. However, the media unit of the Education Ministry on Wednesday stated in a media release that the transfer was made due to an administrative requirement and it had nothing to do with any investigation. The 30-year-old ‘Science for Technology’ teacher Kushan Shalika, whose hobby was writing poems, told Dailymirror that the reason for his transfer was ridiculous. 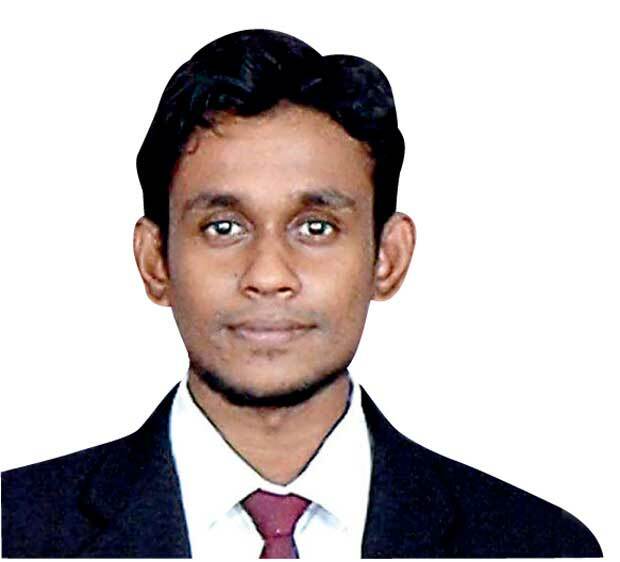 He said the Education Ministry had launched an investigation against him in January this year on a complaint made by Kuliyapitiya Central College Principal for writing poems that he alleged was critical of the school. “A team of officials from the ministry came to the school to investigate this matter and questioned me. I let them read my poems. They said there was nothing wrong with my poems. I wrote poems about everything I feel like writing about including school life. I came to know some people are hurt by my poems. But, my intention is not to hurt anyone. Writing poems is my hobby and also my right to the freedom of expression,” he said. Kushan said he had not been accused of any other misdemeanors that justified a transfer. He said as far as he was aware he had neither violated any principles as a teacher nor had he failed in carrying out his duties as required by the school. When asked by Dailymirror about the controversial reason to transfer a teacher, the Education Ministry official who worked on this particular transfer on the basis of anonymity said there was no connection between the transfer and the ministry’s investigation. She stressed that there was an excess of ‘Science for Technology’ teachers in the Kuliyapitiya Central College and therefore he was transferred to the Narammala Mayurapada Central College where there was a vacancy for a ‘Science for Technology’ teacher. However, Kushan, who had assumed duties the day before Tuesday at his new school, Narammala Mayurapada Central College, told Dailymirror that there was an excess of ‘Science for Technology’ teachers at the Mayurapada College and as such he had been asked to teach Mathematics to Grade-6 and 7 students. “I was teaching ‘Science for Technology’ subject at the Kuliyapitiya College for three years. According to recently issued Advanced Level results, my students had got district ranks. “I was teaching ‘Science for Technology’ subject at the Kuliyapitiya College for three years. According to recently issued Advanced Level results, my students had got district ranks. I don’t believe there was a justifiable reason for them to transfer me. This transfer was not made in line with laid down procedures,” he said. However, he said he would appeal to the Education Ministry against the transfer today. Ceylon Teachers Union (CTU) General Secretary Joseph Stalin claimed that the transfer had not been made through the Teacher Transfer Board. He urged the ministry to cancel the transfer as it was allegedly made as a result of an unnecessary issue. Former Human Rights Commissioner Dr. Prathiba Mahanamahewa said the act was a violation of the teacher’s Fundamental Rights and right to the freedom of expression. “The 19th Amendment to the Constitution protects the right to the freedom of expression. It can be a public servant or any other person in the country. Any views can be expressed as long as they do not disrupt social harmony and national security. 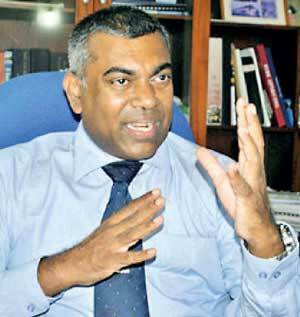 Social media is well-accepted and guaranteed in Sri Lanka. Facebook is a broad platform where people can discuss anything. There are personal blogs also. This transfer that had been made for writing critical poems on Facebook is totally unacceptable and wrong. I think the teacher should be reinstated,” he said.